Mental Health & Wellbeing is a topic that is slowly becoming more spoken about in day-to-day conversation. With 1 in 4 people in the UK experiencing a mental health problem each year, any one of us could experience mental ill-health. Believe it or not, Schools, Colleges and Universities are some of the most demanding working environments around - large workloads, tight deadlines, and lots of organisation can take their toll on staff over a period of time. Did you know that for every £1 an employer invests into a member of staffs wellbeing, they could see an average return of £4.20!? A study by Leeds Beckett University found that over half of the teachers surveyed had been diagnosed with a mental health illness. Below we explain what teacher burnout is, how to spot the signs of it and how to improve staff wellbeing within education. Teacher Burnout can arise from a state of stress that can lead to physical and emotional exhaustion, doubt and feelings of ineffectiveness, or lack of accomplishment. Burnout is something that develops slowly over time, not overnight. It is such a well-known and prominent problem that most teachers will have known someone who has experienced it. In 2016, around 40,000 people quit the teaching profession which accounts for 9% of teachers across the UK. Burnout can arise from; pressure (for students to achieve), taking work home, large classes and workload, high emotions and large classes. Stress is affecting the health of 67% of teachers! Teaching is well known to be one of the most stressful jobs going, not surprising when teachers have the future hopes of the UK's' children resting on their shoulders. A recent survey - Teacher Wellbeing Index - confirmed that 67% of teachers describe themselves as stressed, in fact, 3,750 teachers were signed off on long-term sickness for stress (and other mental health problems) last year. A total of 1.3 million days were taken off by teachers for stress and mental health in the past 4 years. Teachers work more unpaid overtime than any other profession, working nearly 55 hours a week. They also do far more than just academic lessons, they manage classroom behaviour, help students grow, help them develop socially and also look out for their personal lives. The more needs that a child may have, the more teachers are expected to do for them. Stress can also threaten a teacher’s job performance by forcing them to call in sick and therefore impact the amount of time they spend with students. This then disrupts the flow of education, student behaviour and their connection with their students. It is important to take care of your teachers’ physical and mental health. Our Stress Awareness course has been designed to help cope with the everyday pressures of life and work and help prevent Stress altogether. It includes a confidential Stress Survey to assess your current pressure levels and Stress Strategies provide simple steps to implement at work and home to cope with difficult situations. Promoting and improving staff wellbeing in schools is the best starting point for decreasing Teacher Burnout and staff turnover. Investing time into teachers, as they do with their own students, could prove important to teacher wellbeing. Provide opportunities for staff to develop their skills. 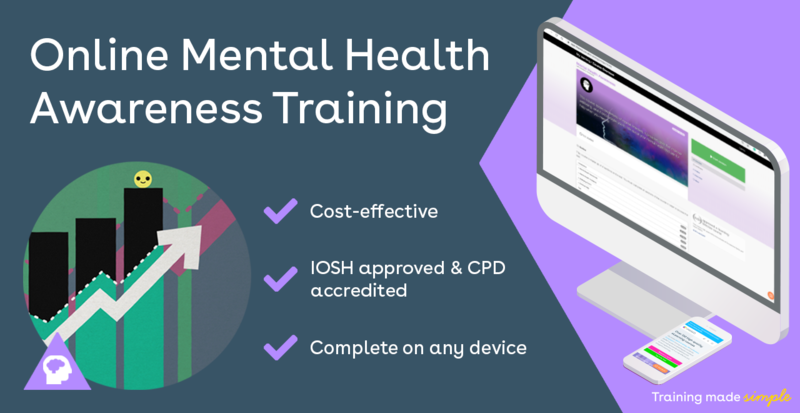 Schools are a place of learning, but this can be for the teachers too, some teachers express interest in doing another qualification; others like to go on training courses like Mental Health First Aid or Mental Health Awareness Training. Teachers should be made aware of any opportunities to further develop their skills. Students may find it easier to show appreciation to their teachers. Whereas colleagues may have to go the extra mile to support one another. It is important that praise is shared among each other and teachers are rewarded for hard work. Each workplace is different but praise and small luxuries could be shown in different ways. Making sure that staff feel like they can speak up if they are going through a difficult time in or outside of work is very important. An open-door policy should mean that teachers feel like they can speak about anything that may impact their work life. As well as Senior Staff, other teachers should have this policy for one another too. A good support network is essential. A useful way to see whether teachers are experiencing symptoms of Teacher Burnout is to conduct reviews regularly. These can be anonymous or face to face, open or closed questions and will provide an insight into what needs improvement for teacher wellbeing. These reviews may also show parts of the curriculum that aren’t working for teachers. Having these reviews repeatedly will reinforce this open-door policy too. A mentor (buddy) system can build closer relationships that may allow teachers to open-up more comfortably. A system like this may be beneficial if teachers are partnered with someone in a different position to them. For example, an experienced teacher paired with a newly qualified teacher could learn from each other. Whether these meetings are weekly or monthly these meetings they could generate a good relationship of trust, respect and a safe place to confide in. Creating mental health and wellbeing programs that include (but not exclusively) the things above could prevent Teacher Burnout and decrease the number of teachers quitting annually. Teacher Burnout will continue to be a problem if it is not fixed.